was purchased by the Binion family in 1988 and combined into Binion's Horseshoe. On June 26, 1957, Members of the state gaming control board recommended approval of licensing for The Mint, Las Vegas for Milton Prell, A. F. (Al) Winters, J. D. (Joe) Hall, and L. B. (Tutor) Scherer. Joe Hall had formerly operated the Palace Club in Reno. 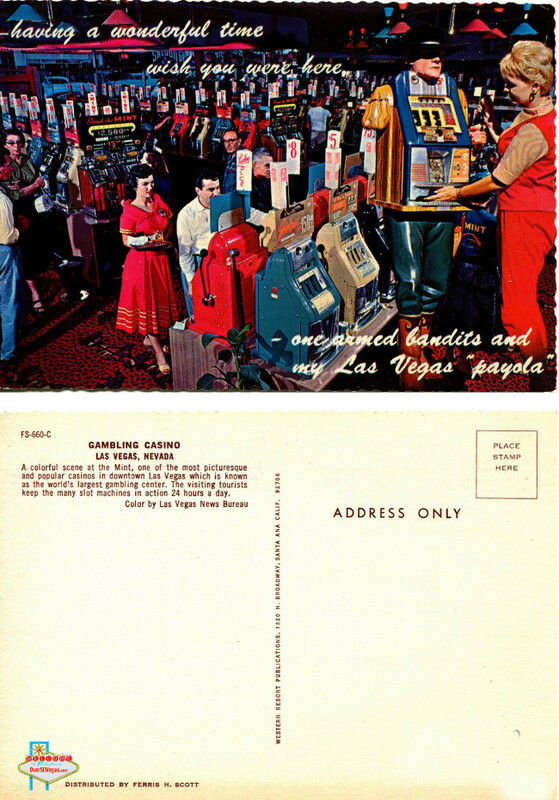 The official grand opening of the downtown Las Vegas casino called The Mint was July 7, 1957. The $1,200,000 property was called "The New Star on Fremont Street" because it had an impressive 16 foot star at the top of its nine story tall sign. At the time, the sign was claimed to be the largest sign in the world that was actually incorporated into a building front. The entire building had to be built around the huge sign. The sign weighed more than 22 tons and reached almost 9 stories. It required two elevators for servicing and a permanent crew working 40 hours a week to keep the sign working. 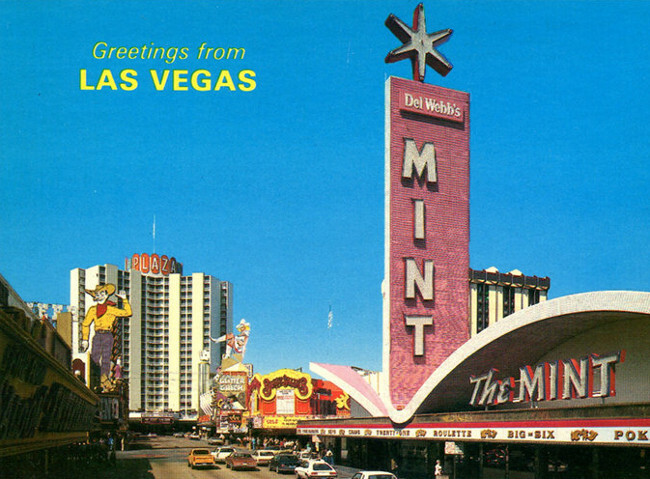 The distinctive "Mint" sign consumed more electricity than the average resort hotel in Las Vegas. It had almost 3 miles of neon tubing and consumed approximately 280 kW of electricity every hour. The brilliant 16 foot star could be seen for at least 30 miles across the Las Vegas Valley. The architect for The Mint was Walter Zick of Zick and Sharp architects. Bids for the original construction work were opened on February 15, 1957. Construction started shortly afterwards. The original construction was the casino only. Groundbreaking for the hotel tower started five years later in 1962. The casino had 300 slot machines, a Keno game and other table games. There were two dining areas, two bars, a gift shop, a tobacco shop, and a barbershop. The manager of the Mint was Sam Boyd, who would go on in later years to found Boyd Gaming. Gil Gilbert was named assistant managing director and held the post for 8 1/2 years until he moved on to Milton Prell’s Aladdin. The Pioneer Club, the Lucky Strike Club and of course the Mint. The Lucky Strike Club and the Mint were formed under the Prewin Foundation, Inc. and Milton Prell was the president. 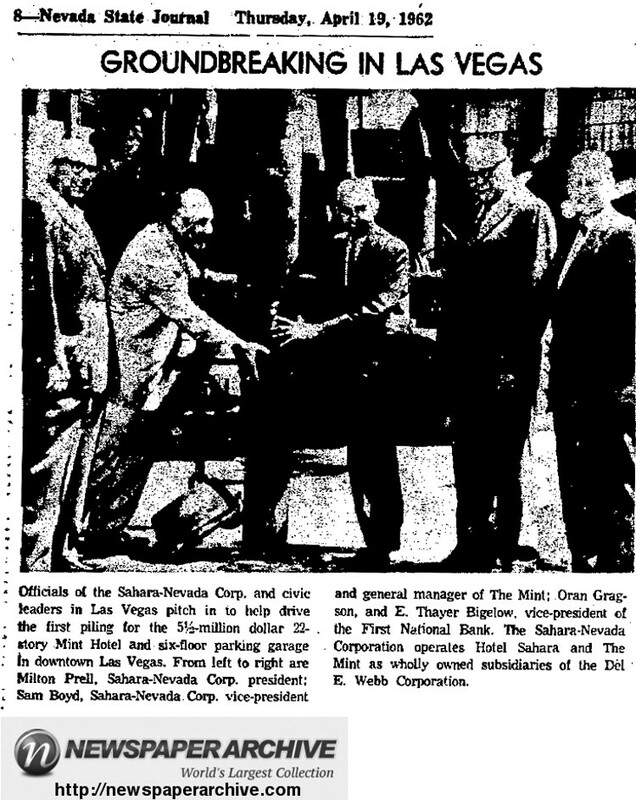 On August 21, 1958, it was announced by Milton Prell's Prewin Foundation, Inc. that Milton Prell’s Pioneer Club, would be sold and renamed the New Pioneer and operate as the New Pioneer, Inc. with Al Parvin, President of the Flamingo, and Sam Diamond, a casino employee as the principal officers. The Prewin Foundation, Inc had purchased the Pioneer Club in 1956 from principal owners Tutor Scherer, Farmer Page, Chuck Addison, and Bill Curland. In June 1961, Milton Prell’s Prewin Inc., which was a holding company for his Sahara Hotel, the Mint, and the Lucky Strike Club, along with his 25 stockholders, voted to merge the three clubs into the Sahara-Nevada Corporation. The move was said to be undertaken in order to facilitate expansion plans. September 1, 1961 the Sahara-Nevada Corporation became a subsidiary of the Del Webb Corporation. Milton Prell served as an active president until he was elected as chairman of the board in late 1963. Milton Prell retired in 1964. Although retired he continued in the investment business and built the Prell Hotel Corporation. 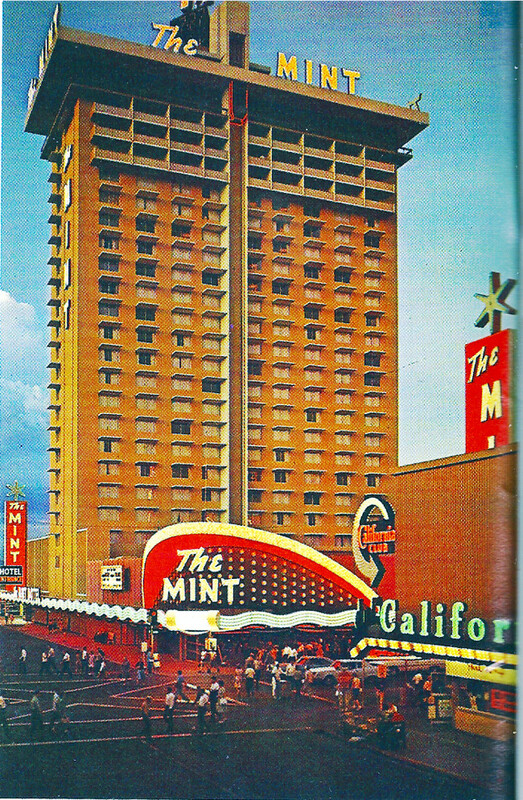 In April 1962, ground was broken for a 22 story hotel and a 6 floor parking garage addition to the Mint. Construction estimates for the new Mint Tower were $5.5 million. At that point in time The Mint was part of the Sahara-Nevada corporation which was a wholly owned subsidiary of the Dell Webb Corporation. The photo below shows the new Mint tower shortly after it was completed.